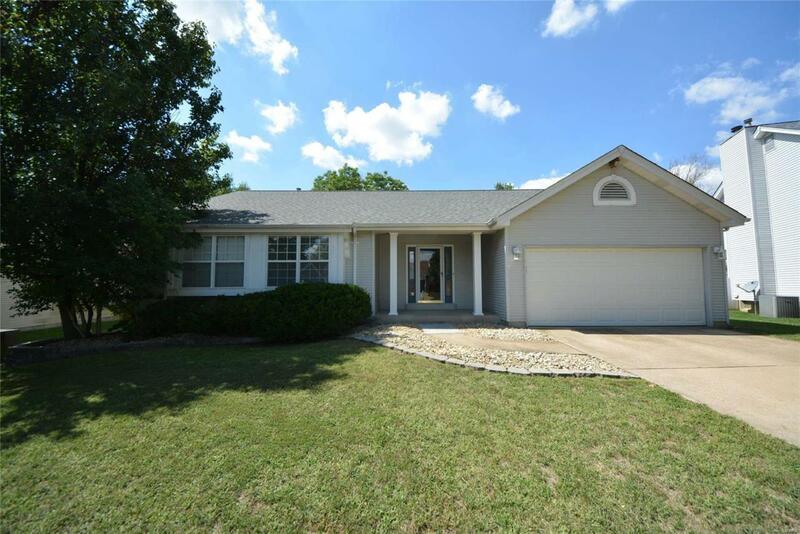 Located in the desirable Stone Ridge Estates this 3BR 2BTH great rm style ranch is ready for you to call it home! The exterior offers great curb appeal w/vinyl front, newer roof, lush landscaping, covered porch & 2 car garage. The interior offers an open floor plan & fresh neutral paint throughout. The alluring entry foyer opens to the spacious great rm w/tall vaulted ceilings & features a gas FP flanked by windows. The bright & open eat-in kitchen offers tons a cabinet space, pantry & bkft rm w/door to the deck overlooking the lvl fenced backyard perfect for outdoor entertaining & enjoyment. The MF master suite offers a LG walk-in closet & private full bth. 2 add'l BR & full bth complete the main. The finished LL provides a LG family rm, rec rm & cedar closet giving you extra storage space & bringing you to a total of 2070+SF of living space. This home also offers a newer HVAC. Great location w/easy access to major hwys, great schools, restaurants & shopping. A MUST SEE! Listing provided courtesy of Sunshine Realty. Listing information © 2019 Mid America Regional Information Systems, Inc.